Not long after announcing a new record and sharing two new tracks, Brockhampton have returned with another new song that comes accompanied by a video. Titled "1998 TRUMAN," the track begins as another of Brockhampton's boisterous bangers before sliding into some psych-soul for the outro. You can watch the song's video, directed by the group's own Kevin Abstract, in the player below. While the group's forthcoming the best years of our lives has yet to receive a concrete release date, the LP is expected to arrive via Question Everything/RCA Records. 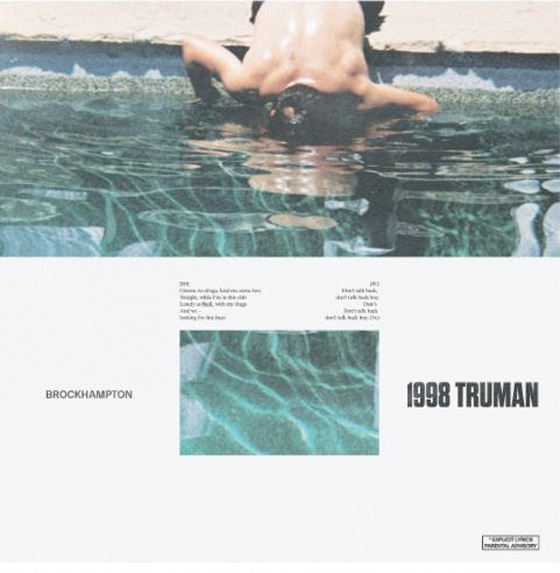 "1998 TRUMAN" follows the previously released "Tonya" and "1999 WILDFIRE." Brockhampton are set to play Osheaga in Montreal early next month. You can find their current tour itinerary here.